Loopt, the New Enterprise Associates and Sequoia-backed mobile social network, has acquired a relative newcomer to the scene – Y Combinator startup GraffitiGEO. Multiple sources have confirmed the acquisition, although neither company is commenting. 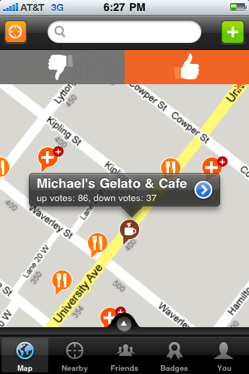 GraffitiGEO, which launched just a couple of months ago, combines mobile social networking with reviews and games. It’s somewhat similar to the surging foursquare, which has stolen some of the oxygen from the first generation mobile social networks like Loopt.